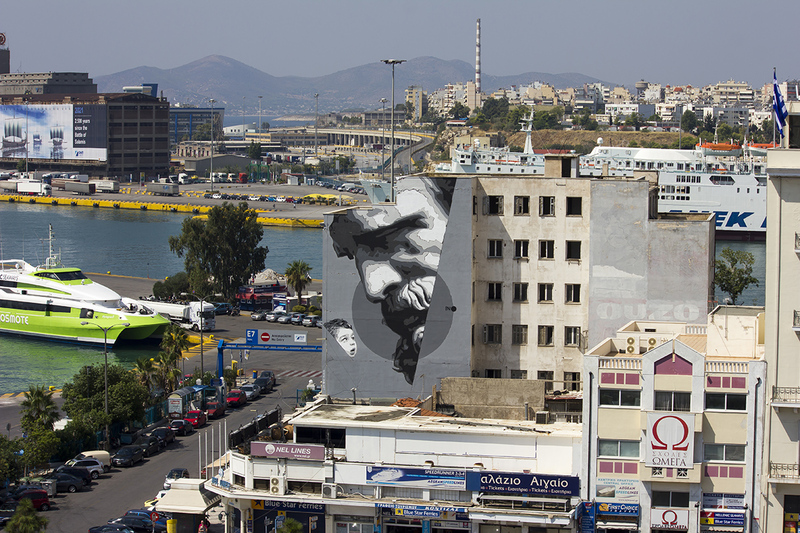 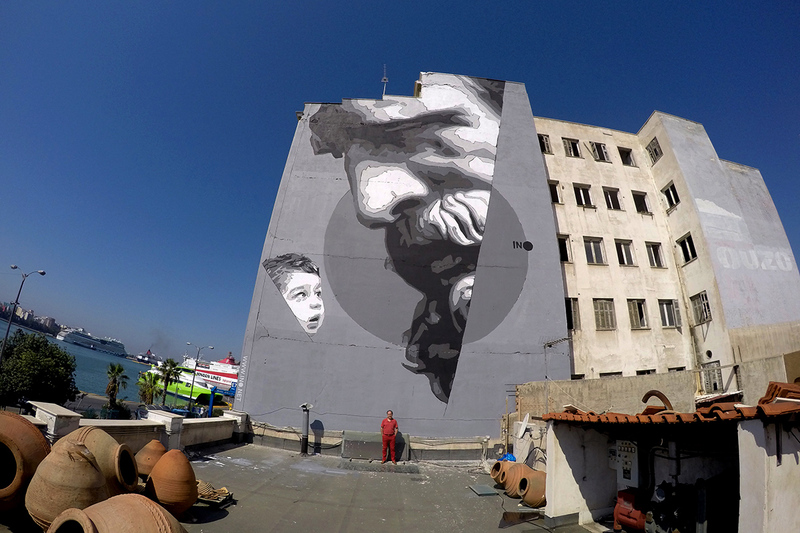 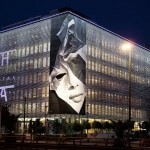 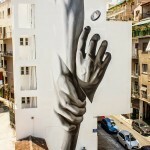 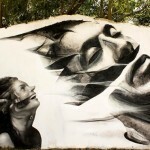 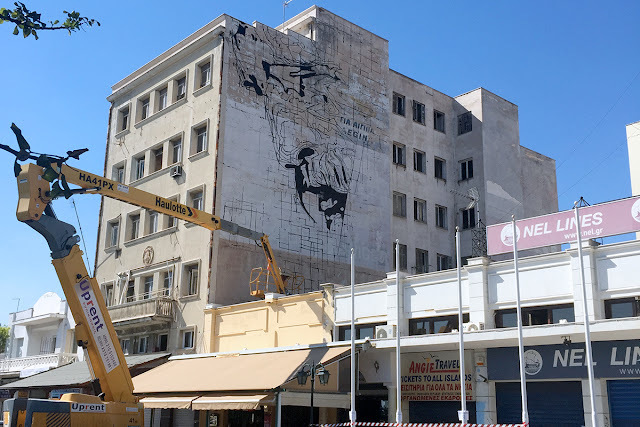 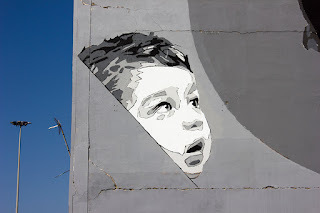 Greek visual artist iNO created this mural on the center of Piraeus Port, one of the largest seaports in the Mediteranean sea located in Greece. 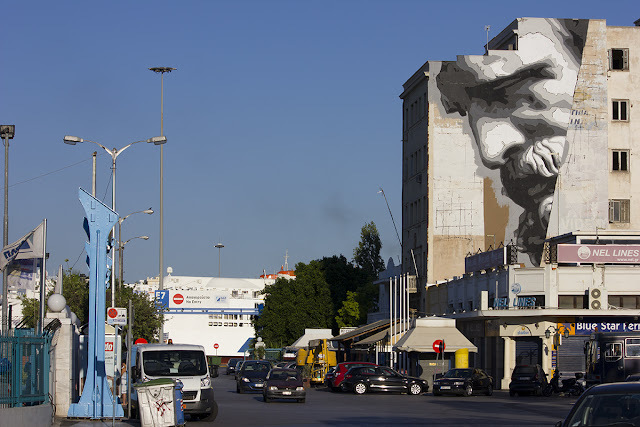 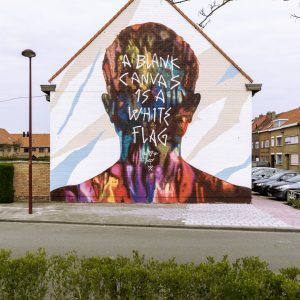 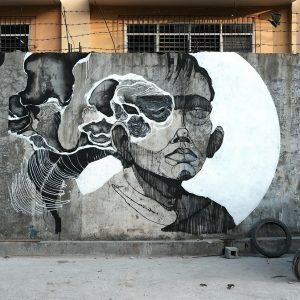 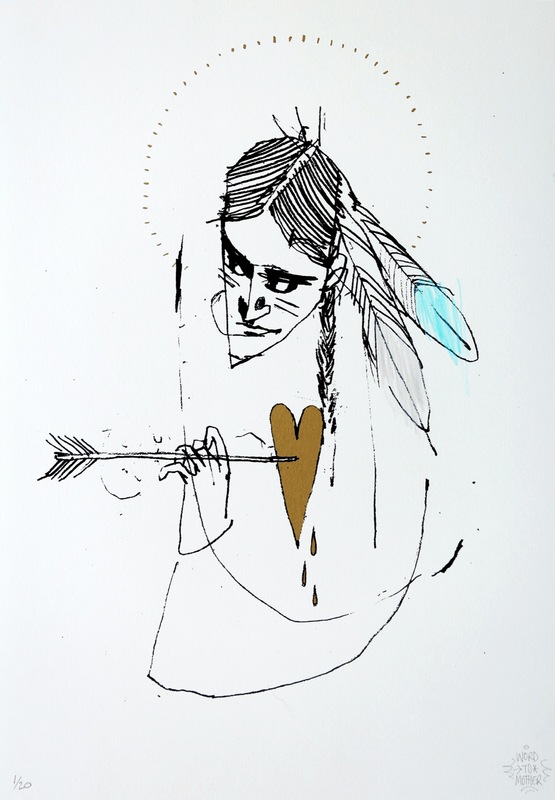 The artist was interviewed by the National Geographic staff and the mural creation proccedure was filmed for an upcoming documentary. 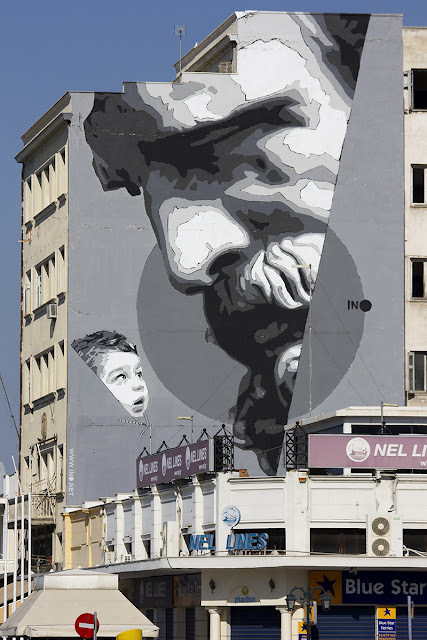 The artwork is entitled “We Have The Power” and is depicting a child looking up at a huge portrait of the ancient philosopher Democritus. 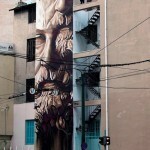 Knowledge is power.